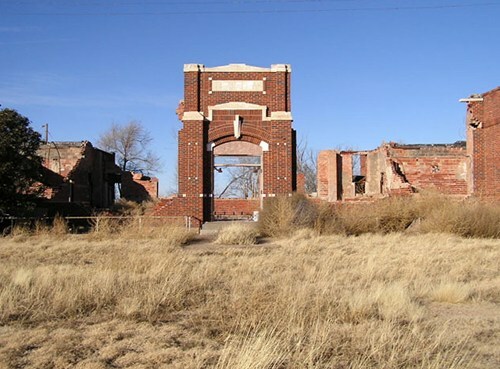 "The shell of the schoolhouse located near Bula, TX"
W. B. and Tom Newsome were ranch owners who subdivided their property into farmsteads in 1924 and founded the town. 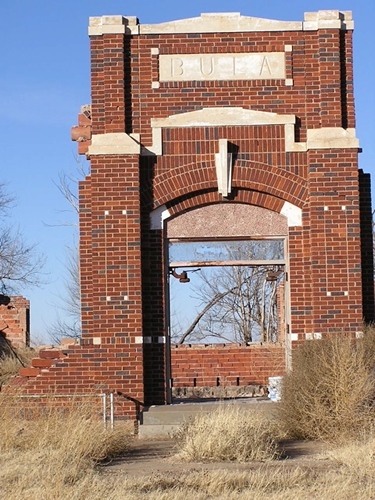 The community applied for a post office under the name Newsome, but it had already been taken. The town had two Bulas living there at the time - and it's unclear which became the town's namesake. One was Bula Maude Oakes, a preacher's daughter and the other was Bula Thorn, wife of the first postmaster. In all probability it was the postmaster's wife. 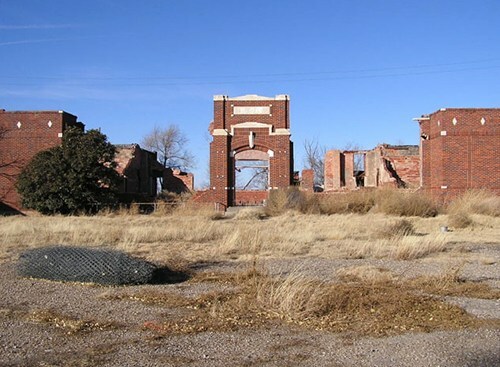 Bula opened the school (pictured here) in 1925. It closed in 1975 and burned only recently.